Priyanka Chopra and Nick Jonas' wedding was one of the most royal and grand affairs of 2018. The duo got married at the Umaid Bhawan Palace in Jodhpur on December 1-2. 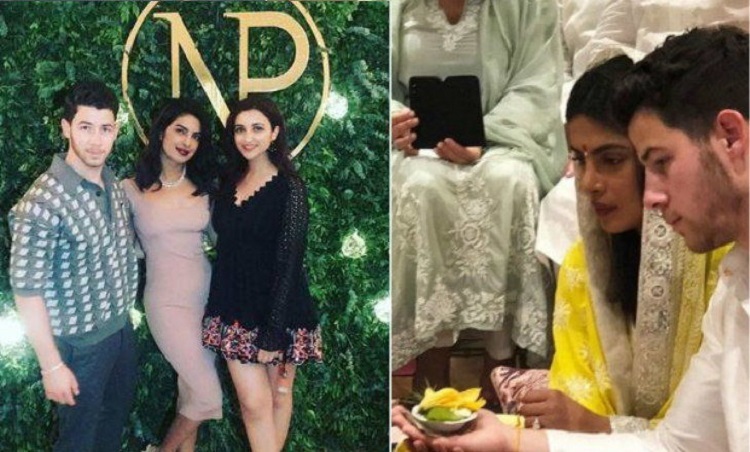 Parineeti Chopra enjoyed the wedding bash of her sister Priyanka and we saw many pictures of them breaking the internet. Parineeti who recently appeared on the Kapil Sharma show was asked if any of Nick's friends tried to flirt with her during the wedding. "Line toh bohot maara par maine line di nahi!" she laughed. Bollywood has seen a host of big fat weddings in the year gone by, including Sonam Kapoor's and Deepika Padukone's. Last week, during the promotions of Anurag Singh's historical drama Kesari, Parineeti was asked if she was also planning to get married soon. "Toh unse mera kya lena dena yaar? Woh kare jo karna hai unko. (What has that to do with my life? They can do whatever they want). Currently, I have no plans, I don't think so! If I get married ever in life, then it has to be when I'm ready for it which is not today. I'm not thinking about all that today," the 30-year-old actress told reporters. Meanwhile, Parineeti is awaiting the release of her historical drama film Kesari which stars Akshay Kumar in the main lead. Hubby Ranveer Singh got the BEST GIFT EVER for Deepika Padukone Sonam and Janhvi Kapoor Made For A Gorgeous Date For Each other! !